Faith is defined in the Mirriam Webster dictionary as "something that is firmly believed, even in the absence of proof". Just a couple of months back Babushka was wondering how expenses were going to be covered, when My Little One stated, "Don't worry, we always find a way." Y saben que Beautifuls? That vote of confidence, that statement said so matter of factly brought BB close to tears. Raising The Trio as a single mom wasn't easy, yet they remember a childhood of many joys. Y ahora as adultos we have come together for some mighty moments, and she's right. We always find a way. "Based on the New York Times best-selling novel with over 22 million copies in print worldwide, The Shacktakes us on a father’s life-transforming journey that will show him the ultimate truth about love, loss and forgiveness. The film stars Sam Worthington (Avatar, Wrath of the Titans, Clash of the Titans), Academy Award®-winner Octavia Spencer (Best Supporting Actress, 2012 –The Help; The Divergent Series film franchise), Grammy Award® Winner Tim McGraw (The Blind Side), Radha Mitchell (Olympus Has Fallen), Alice Braga (Queen of the South, Elysium), Aviv Alush (The Gordin Cell) and Graham Greene (Longmire). 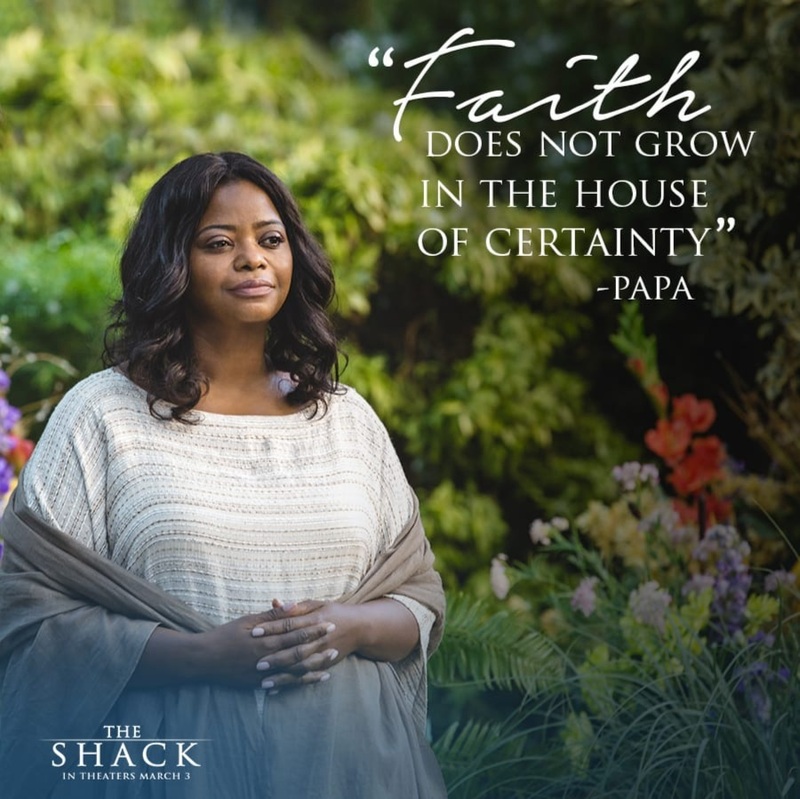 The screenplay by John Fusco is based on the best-selling faith-based book, “The Shack,” by William Paul Young in collaboration with Wayne Jacobsen and Brad Cummings. Stuart Hazeldine (Exam) directs the film, which is produced by the Oscar-nominated Gil Netter (Life of Pi, The Blind Side, Marley & Me) and Brad Cummings." The Shack will be in teatros on March 3, sharing the message of hope and having faith. Because we ALL always find a way.